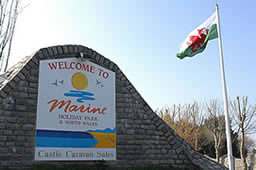 Marine Park offers Caravan Sales and Caravan Holidays in Towyn, near Rhyl, North Wales. Marine Park's caravan holidays are in our custom built and designed holiday park in Towyn, which contains a tropical heated indoor swimming pool, sports bar, cabaret bar, cafe, playground, evening entertainment, all weather pitch and amusement arcade, as well as useful amenities such as a mini mart and launderette. To read more about our ameneties as well as having a caravan holiday in Towyn, Rhyl, North Wales from Marine Park, please visit our holidays page. Marine Park also offer luxury new and used caravan sales in Towyn. Why not stay for a caravan holiday at Marine Park in Towyn whenever you want and for as long as you want. Marine Park Caravan Sales section will be able to guide you and you can holiday in Rhyl whenever you want. For further information about North Wales Caravan Sales in Marine Park, please visit our Caravan Sales page.